Social isolation is a state where an individual has decreased or even not at all able to interact with others around them. Patients may feel rejected, not accepted, lonely, and unable to foster meaningful relationships with others. 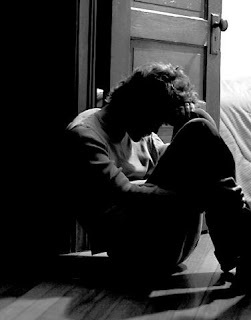 Social isolation is a lonely condition is expressed by the individual and perceived as being caused by others and as a negative situation that threatens. With characteristics: living alone in the room, inability to communicate, withdrawal, lack of eye contact. Discrepancies or immaturity interests and activities with the development or the age. Preoccupation with his own thoughts, repetition, no meaningful action. Expressing feelings of rejection or loneliness caused by others. Experience different feelings with others, feel uncomfortable with people. Apathetic (not / ignore environment). Do not want to take care of himself and not pay attention to personal hygiene. Reduction or absence of verbal communication. No or less conscious environment. Intake disturbed eating and drinking. Stress triggers, generally include stressful life events such as loss, which affects an individual's ability to relate to others and cause anxiety. Stress is caused by social and cultural communities. Events or changes in the socio-cultural life sparked trouble for dealing with others and how to behave. Stress is caused due to prolonged anxiety and the individual does not have the ability to cope. 1) regression, the progress or retreat behavior. 2) projection, the weakness and lack of self-posed to others. 3) repression, which override impulse or painful memories. 4) isolation, which shy away from interaction with the outside environment. The Patient tells feeling lonely or rejected by others. The patient does not feel safe being with other people. The patient said that does not mean the relationship with others. The Patient feel slow and tired of spending time. The patient is not able to concentrate and make decisions. The patient not sure it can continue living. General purpose: Clients can interact with other people. 1. Patients can develop a trusting relationship. 2. Patients can be aware of the causes of social isolation. 3. Patients can interact with other people. Patients are able to communicate well with the nurses. Patients can mention the causes and signs of withdrawing. Patients are able to interact with caregivers, family, and other patients. Say hello to the patient, each time interacting with patients. Acquainted with the patient: introduce full name and the name of the nurse call, and ask the patient's full name and nickname patients. Ask the patient's feelings and complaints at this time. Create a care contract: what nurses will do with the patient, how long it will be done and where the implementation of activities. Explain that the nurses will keep confidential the information obtained for the purposes of therapy. Show empathy to the patient at all times. Fulfill the basic needs of the patient if possible. Ask the patient habit, about the habits of interacting with others. Ask causes the patient does not want to interact with others. 3. Helping the patient to recognize the benefits associated with others by sharing the benefits if the patient has a lot of friends. Discuss the disadvantages, if the patient just shut up and do not get along with others. Explain the effect of social isolation on the physical health of the patient. 5. Provide the opportunity to express their feelings can help reduce stress and causes feelings withdraw. Therapeutic group activities: socialization is an effort to facilitate the client's ability to socialize with a number of social relationship problems. 7. The client is able to express an opinion on the benefits of the activities undertaken. 1) identifies the purpose of activities, which introduce self-own. a. Describe the activity, ie cassette tape recorder is turned on and the ball will be circulated counter-clockwise (ie towards the left) and when the tape off the members of the group who held the ball introduce himself. b. Turn on the tape recorder and tape the opposite tennis balls circulate clockwise. c. When the tape off, members of the group that holds the ball can turn to mention: greetings, full name, nicknames, hobbies and origin started by therapists as an example. f. Give credit to the success of each member of the group members applause. 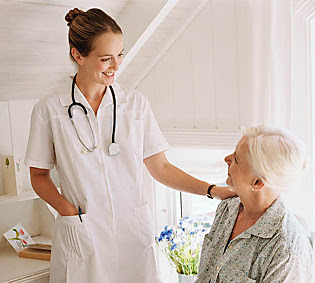 Nursing care plan for cancer is a guideline in providing care for cancer patients. And made reference to nurses to provide care for cancer patients. Nursing Care Plan for cancer, there are many types, depending on the type of cancer that occurs. For breast cancer, skin cancer, etc.. So expect any patients suffering from a cancer can be given optimal service. Differentiated cancer based on tissue of origin. For mesodermal tissue that consists of connective tissue, bone, cartilage, fat, muscle to blood vessels called sarcoma. Osteosarcoma, the bone cancer. And carcinoma is a cancer that is in the epithelial tissue, such as the mucous membranes and glands such as breast cancer, ovarian cancer, and lung cancer. Then myeloma on bone marrow cancers, while blastoma for blood cancers. There is a term metastatic. Metastasis is the ability of cancer cells to move from one place to another. This switching capability that makes cancer so dangerous because it makes the cancer spread and invade multiple organs at once. Migration of cancer cells from one place to another can be through the blood vessels, lymph vessels, tissue sticking, and in the body cavity. Regarding the treatment of cancer, there are three main treatment in patients with cancer, through surgery, radiotherapy, and chemotherapy. Surgery is done if the cancer tumor is still small conditions. Surgery is also not alone, but is usually accompanied by radiotherapy and chemotherapy. On radiotherapy, used laser light (X-rays) to kill cancer cells and is done only in part affected by cancer. It is intended to create damage in other tissues, while chemotherapy to destroy any remaining cancer cells in the body. In the nursing care plan for cancer, nurses have a very important role, so that the healing process of patients, can take place smoothly. Nurse's role in providing support to patients by diagnosis. Nurses also find out, psycho-social needs of patients and the spiritual. Nurses also must meet the fluid needs, and patient nutrition in addition to helping clients to succeed through the healing phase. Nurse roles are very important, described in detail in the nursing care for cancer. Nursing interventions, is the handling of the patient based on conditions. Nursing interventions, such as the condition of the patient based on the risk of infection, risk of bleeding, the risk of impaired tissue perfusion, fluid balance disorders, and other risks. Professional nurses are needed in the treatment of cancer and other diseases. Important guidelines to realize that professional nurses and responsive in dealing with cancer.